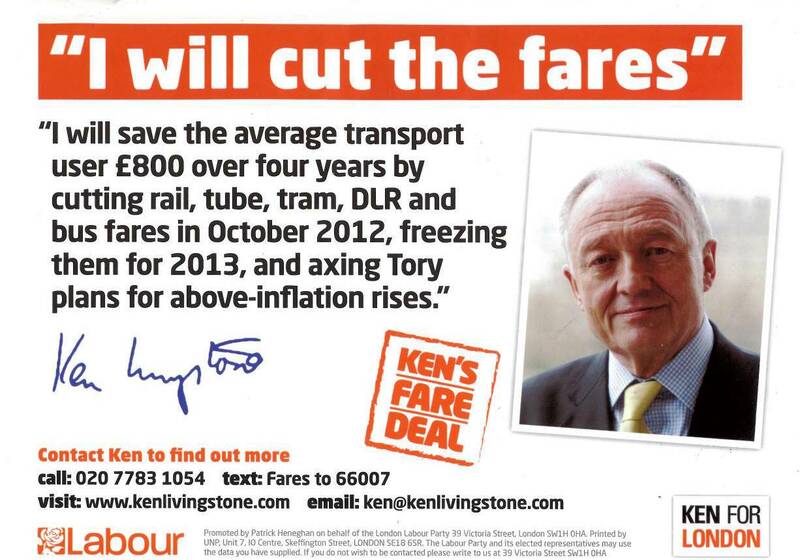 I was handed a Ken Livingstone leaflet at Queens Park tube station on the way in this morning. And it’s a good one. One message – a pledge to reduce fairs on public transport in London – which is likely to be popular, communicated very clearly and simply, with a snappy slogan for good measure. Political advertising is so often not about what you say, but what you communicate and the simplicity and cleanliness of this leaflet leaves the recipient feeling that this is a guy who knows what he’s about. Good for Ken, hope he wins. Making mistakes in authentic dominions may be simply very expensive as well as time consuming. Learning from an individual who has really been adapted for by it is going to address you the advantage of staying clear of comparable blunders and perils, as well as considerably increase the finding out speed. These valuable authentic life experiences are something that you will not likely receive by way of studying manuals or magazines. Whenever you have the chance, talk to other persons, legitimate dominion brokers, and essentially everybody else that are in the authentic estate business.